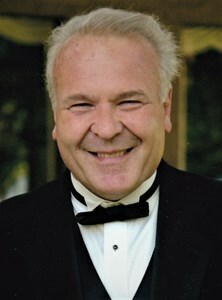 Peter J. Galvin, Jr. age 68, died peacefully at home on Tuesday, April 9 2019. He was born on July 30, 1950 to Peter J. Galvin and Dolores (Hubert) Galvin. Peter served in the United States Air Force from 1968 to 1972 and was a veteran of the Vietnam war. Peter worked in the factory at General Electric for 45 years and retired in 2018. Peter loved spending time with his 5 Grandchildren and traveling all over the United States in his RV. Peter is survived by his loving wife, Georgette (Colombe) Galvin, his daughter Justine Galvin, son Mark Galvin, and daughter Nikki (Ken) Gregory, his 5 Grandsons, many loving brothers, sisters, nieces, nephews, and cousins. Graveside services will be held at Gerald B.H. Solomon Saratoga National Cemetery at 10:00am on Tuesday, April 16, 2019. Calling hours will be held on Monday, April 15, 2019 from 5pm to 7pm at New Comer Cremations & Funerals, 343 Karner Road, Colonie NY. In lieu of flowers, donations can be made to the Centers for Disability Services, 314 South Manning Blvd, Albany NY 12208. Add your memories to the guest book of Peter Galvin, Jr..
Our deepest condolences to Mary and the friends and family of Peter. Our thoughts will be with you during this difficult time. I first met Pete in the early 1970s when he had a car lot by my father in laws gas station , then ended up working with him off and on through our years at G E ! Always there to help and lend a hand to anyone that needed it ! We will all miss you Pete , and may God bless you and your family. John czarnecki Jr.
Remembering YOU and PETE in our minds and in our hearts. Stephany, Charles -Antoine and Jocelyne 's family. Pete along with his sisters and brothers were my very first friends in my life. I remember so many good times in every season of the year with Pete as our leader. I remember when he told me he asked the Air Force to send him back to Vietnam for a second tour! Even though Pete was fearless, he had a kind, tender, heart of gold. Pete had a one of a kind work ethic! He never seemed to be over-challenged by anything. I always looked up to Pete, and have told many happy, funny stories about the Galvin/Splittgerber good times. Pete, now I will always look up and send you a wink and a smile. You were a good man. My most heartfelt condolences to the family and friends of Pete. Peter is probably my oldest friend, having met Pete when I was 5 or 6 years old. Though we lost contact in the past years, I have fond memories of growing up with Peter and his siblings. Camping, water fights, sledding, motorcycles and ice skating just to name a few. God Bless and Rest you my friend. I pray that you all will reflect on the happy memories of your Dad (father-in-law and grandfather) to get you through these heartbreaking days. You will always be in our prayers and we are here for you if you need us.